Remakes, in general, are a bad idea… and this was a remake of a B-film. Perhaps Universal, the owners of the franchise, were looking for a way to extend their copyright on their classic horror film. The shoot itself seemed to be cursed with uncomfortable costumes, short-tempered actors, alternate endings and multiple rewrites. Of course all of this might point to the extreme efforts by many to actually make a good film out of a cheesy if beloved precursor. Regardless, the result is an uneven product. This version weaves father-son tension, filial jealousy and uxorcide into the often gory scenes. While these themes are clearly there to “explain” a son’s fear and hatred of his father and a penchant for roaming, no one element is ever fully explored. This lack of completeness lands the film on the wrong side of the tracks, I’m afraid. Rather than lend credibility and convince the audience that this film was taken seriously; it merely reveals that it only wanted us to think it was being taken seriously. Someone in the production team (it’s nearly impossible to divine who) actually has a penchant for Victorian-era philosophy and social constructs. The underlying details are quite thoughtful. Colonialism, Orientalism, Freudian scholarship, gothic literature, Darwinism, and the crumbling aristocracy are touched upon. Sadly, none is ever followed through. The biggest miss is most certainly the story of Singh, the father’s valet from India. Yet, for all this research and attention to detail there a glaring mistake. The film is supposedly set in 1891, as announced in the opening moments. But, a completed Tower Bridge is spanning the Thames in two specific shots (the bridge was opened in 1894). Thankfully, the “monster” scenes are few. The fur and makeup were not convincing, or even very frightening. They are gory, but in a drive-in movie sort of way. Anthony Hopkins brings just a smidgen of Hannibal back to the screen and plays his shallow role with as much professionalism as an Oscar-winning role. Benecio del Toro is less satisfying. He is more emo than angsty. Emily Blunt is lovely and superb. I look forward to watching her in years to come. 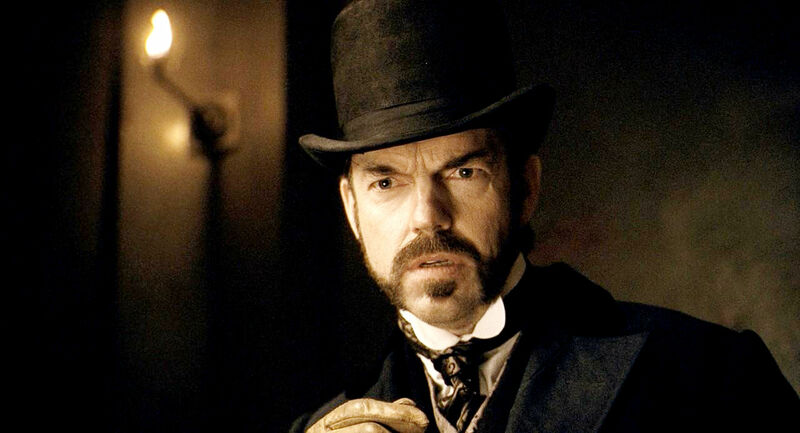 But it is Hugo Weaving as the Scotland Yard inspector who steals every scene. He full embodies every Lestrade, Whicher, and Japp ever played. The strongest part of the film is the cinematography by Shelly Johnson. Every shot is gorgeous and ethereal. 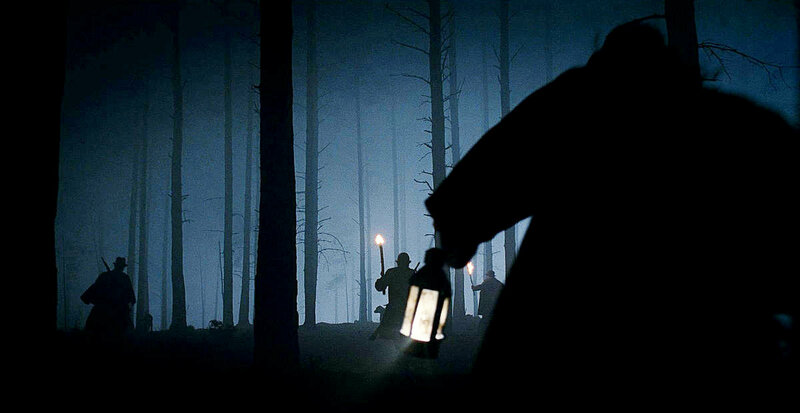 Lowlight, candlelight, moonlight, fog, lantern – you name it, he can shoot it. 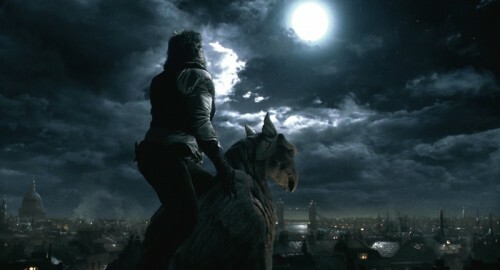 It is clear that he too has read his Sherlock Holmes and studied his Caspar David Friedrich. Without his rich vision, the film would have been entirely unwatchable. 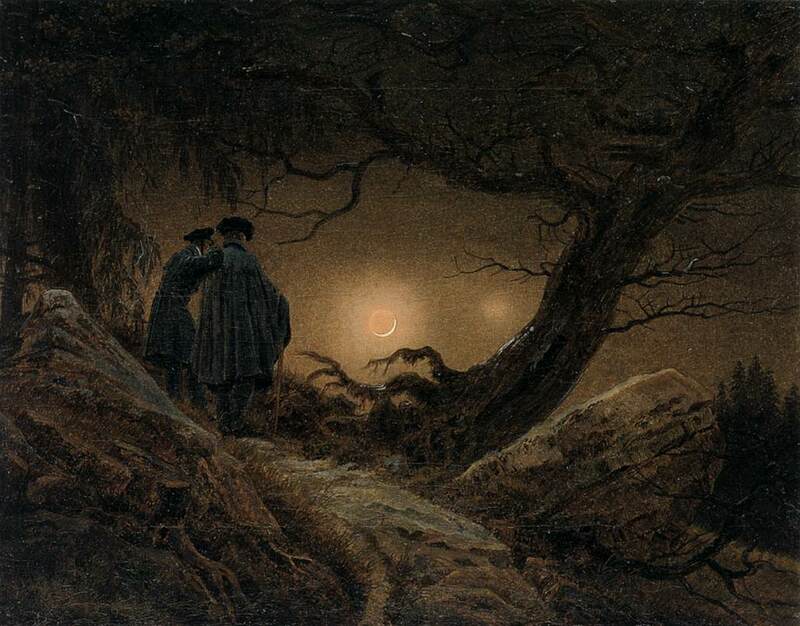 In fact, look for a shot the looks just like this painting by Friedrich.